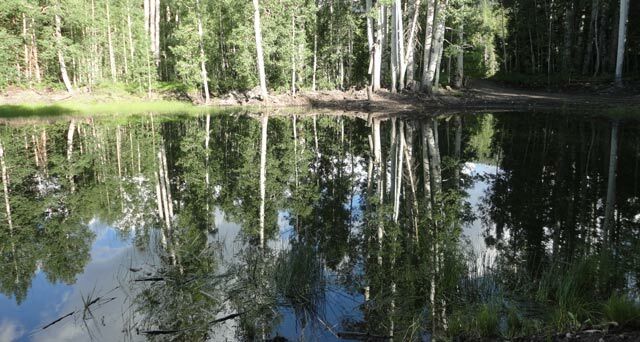 Buckhorn Lakes: Open with Wildflowers and Bugs! Still waters at Buckhorn Lakes. There wasn't a whisper of wind, around 6:30 p.m., permitting these delightful reflections in the water. I was out and about on the XT-250 this afternoon and am pleased to report that the road to Buckhorn Lakes (there are two lakes right next to each other) is open. Toward the top there is rutting and a bit of mud, and some of the campsites are pretty muddy. The campsites on this Wednesday evening are empty—lots of room. But do bring your bug spray. I had to stop at one point, take off my helmet, get the bug out of my ear, put my helmet back on, and snap the visor tight! Below are some more pictures: my first columbine blossom, a majestic view of a thunderstorm, and yours truly standing by one of the lakes. Columbine blossom at Buckhorn Lakes, my first of the season. 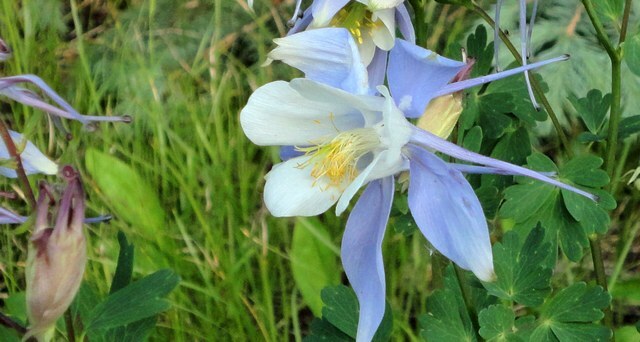 The columbine is the Colorado state flower. 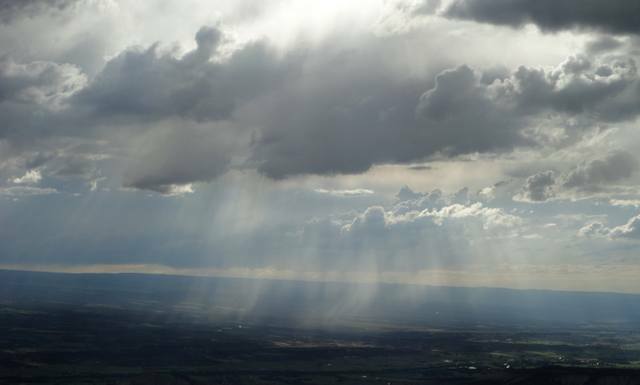 Thundershower over Uncompahgre Valley, taken from high up on the road to Buckhorn Lakes. The thunderstorm is probably twenty to thirty miles away. That's rain falling in the sunbeams. Very dramatic! 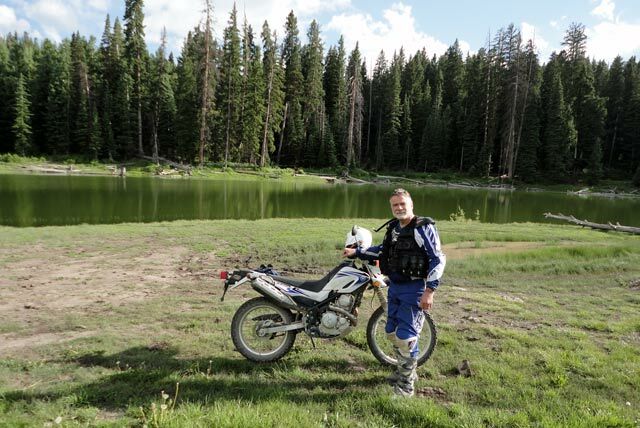 That's me next to one of the Buckhorn Lakes with my trusty Yamaha XT-250. This entry was posted in Montrose County, Motorcycling, Wildflowers and tagged buckhorn lake, buckhorn road, columbine. Bookmark the permalink.